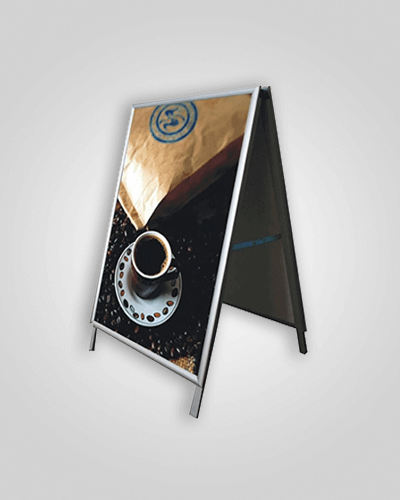 The versatility of the wide format printer is superb, and we can do beautiful custom sized, well – anything. 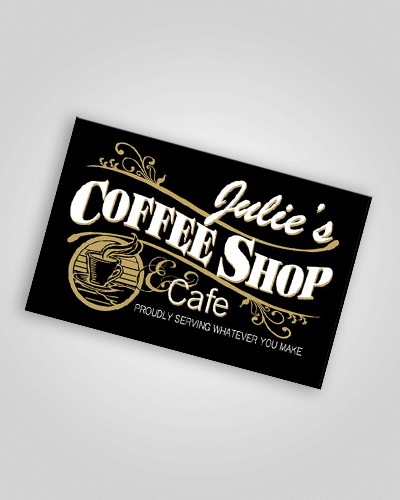 Want a decal for your car, custom wall-paper, poster, and backlit sign – no problem. Short-run labels for your products, rear window decal on one-way vision, or a pull-up banner. We are also able to top cut your stickers to any shape or size that you want, so rectangles, ovals and squares are no problem. Custom die-cut your stickers to any shape you want. We carry a wide variety of vinyl stocks, only of the highest quality. We are able to do all types of signage, stickers and labels. We can print on almost any type of vinyl at world class quality. On our wide format printer, we have completed awesome full shop wraps, giant motorway signs, tiny stickers, labels, pull up banners and floor stickers. Let us do your lamination, the top cut lettering for your shop window, or the skin for a light box. Great to advertise your shop or products on a sidewalk. There are a number of different types of frames that we can use, those where we can change the message, with 900mm x 600 interchangeable coreflutes, or frames where the message is the going to be permanent for a long time. If you are going to leave the A-frame outside in the sun, you really should laminate the print.